Three Heads Are Better Than One is a video installation and live performance. 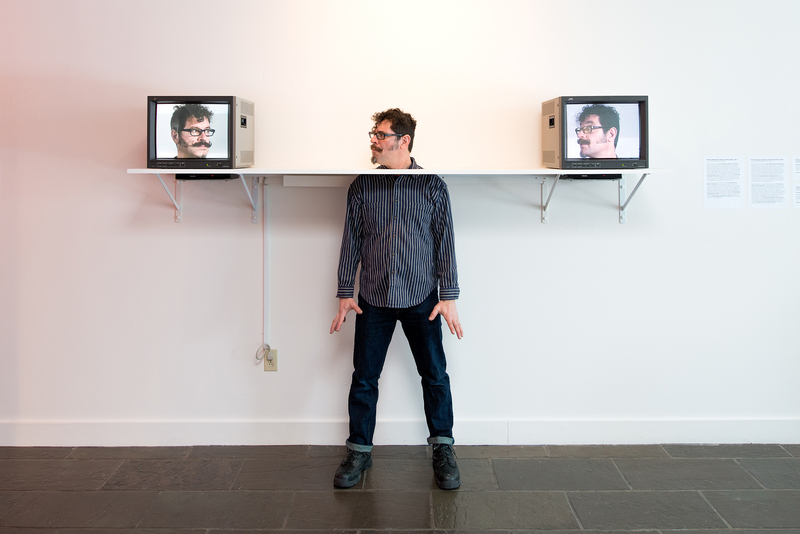 A long shelf holds two TV monitors with life-sized video heads of the artist on either end. 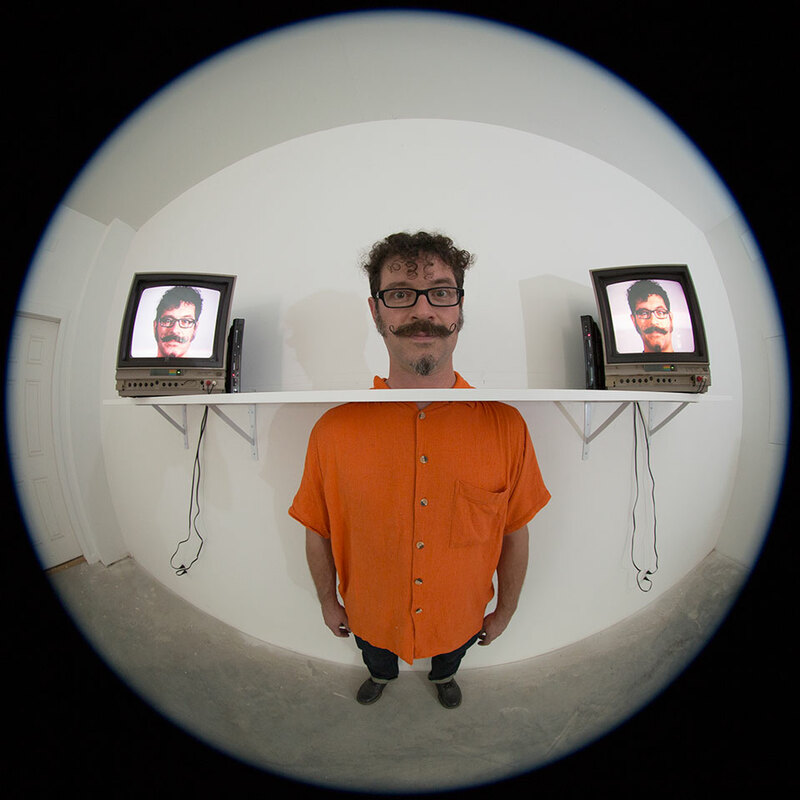 When performing, the artist stands in the middle of the sculpture, his head poking through a hole in the shelf, engaging in a scripted 'trialogue' with the other two Jeffus. The trio of Jeffu 'talking heads' slowly evolve their speech patterns from random, guttural grunts to singsong sounds, and finally to hilarious and aggressive banter that reflects the harmony and discord in our everyday discourse. Humorgous Smorgasbord, Flux Factory, Queens, NY, Sep 8-16, 2017.